At the commission’s request Tuesday, Augusta Fire Chief Chris James talked generally about pursuing the EMS zone designation and how he’ll run the ambulance service if successful, although everybody already knew everything he said – except for one thing. He’ll ask for a $400,000 increase for EMS in next year’s budget, but that would be it. “We’ll not be coming back and asking for additional funding,” he said. Maybe not for a few months anyway because he’s already spent $450,000 on two new ambulances and requested money in this year’s budget for more EMTs and paramedics. 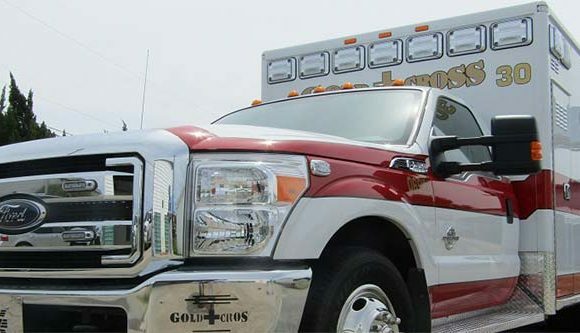 Commissioner Wayne Guilfoyle calculates that the cost of staffing four ambulances 24 hours a day for a year with part-time employees with no benefits would be $1.2 million. And that’s not counting fuel, medicine, supplies, liability insurance, servicing, tires, parts, mechanical breakdowns, cleaning and routine sanitizing. James said he’d use the city’s four ambulances and subcontract the service out to various companies that would have ambulances stationed throughout the county and that 911 would dispatch the one closest to an emergency. Gold Cross has been the sole provider in Augusta since 2014. Augusta asked to have the zone opened up for potential bidding this year, and the Region 6 EMS Council agreed. The subcontracting would go through the city’s procurement process, although when asked Tuesday, James acknowledged he’d already talked with some ambulance companies. Commissioner Mary Davis asked James whether the subcontracts would come before the commission for approval, and he said he wasn’t sure whether they could be approved by the administrator under her discretion to approve expenditures of $25,000 or less. Commissioners voted 6-4 to have city staff put together the subcontracting proposal using the procurement process, with Davis and commissioners Sias, Hasan, Dennis Williams, Bill Fennoy and Andrew Jefferson voting yes.